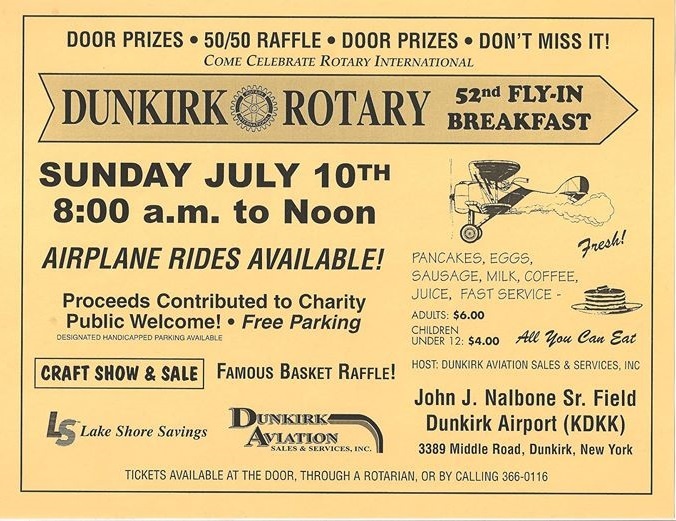 Come join us for the 52nd Annual Fly-In Breakfast sponsored by Dunkirk Rotary. Tickets are $6 for Adults and $4 for children under 12. There will be a Craft Show & Sale, Basket Raffle& Airplane Rides.